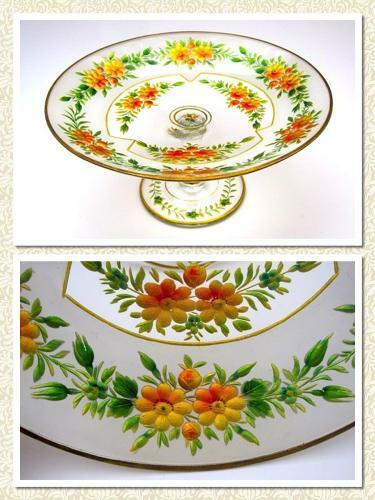 Stunning Antique Bohemian MOSER Enamelled Bowl Decorated with Flowers. This Beautiful Footed Bowl is Decorated with Brightly Enamelled Flowers and Foliage. The Enamelled Flowers are Highlighted by Green Leaves and Composite Gold Enamel.